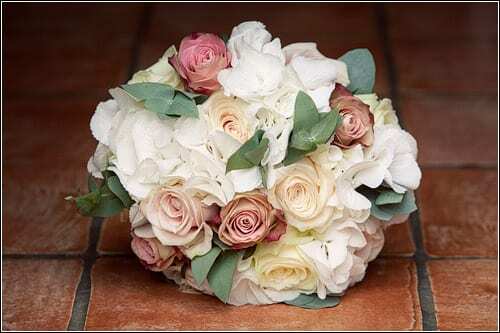 From today, as part of my new blog post series, Wedding Wednesday, I’ll be featuring wedding flowers from real weddings. 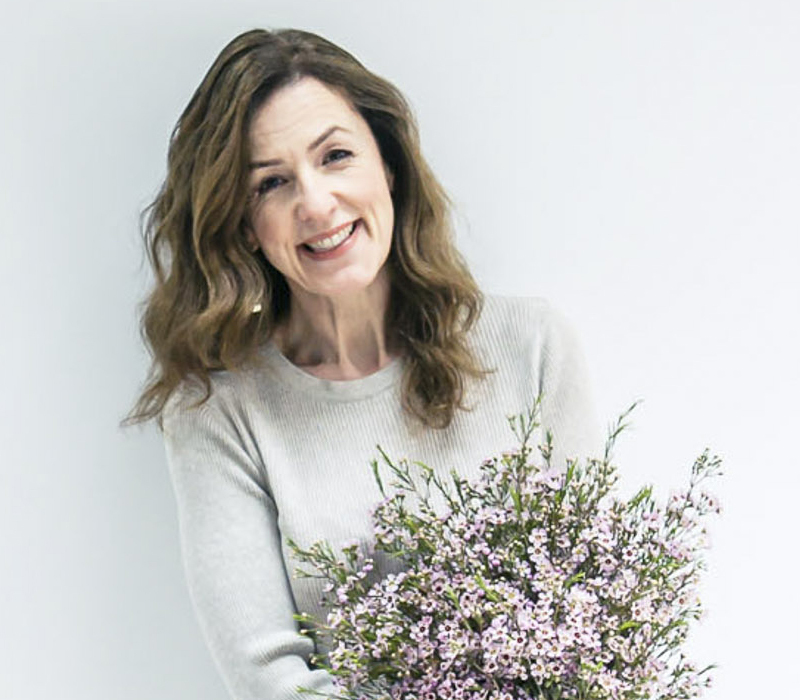 So if you’re a bride-to-be, you’ll be able to find inspiration for your bridal blooms. 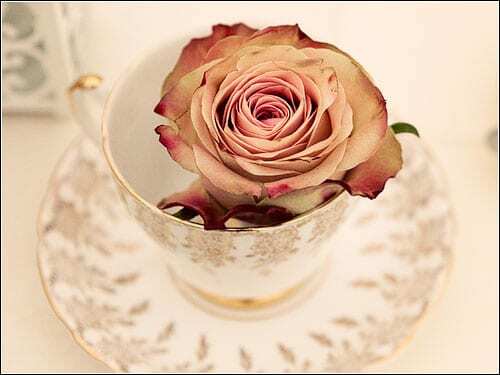 I hope from seeing other weddings, you’ll be able get ideas about the style and colour of flowers that you may like for your special day. 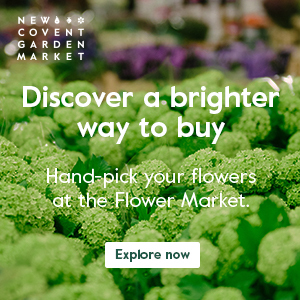 And that you’ll also gain an insight into the types of flowers available at certain times of the year. If you’re not planning a wedding at the moment, I hope you’ll simply enjoy the beautiful images. The happy couple are Les and Jen. 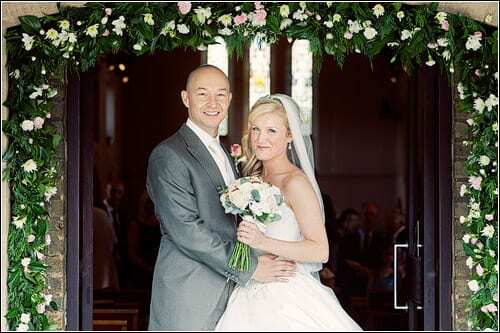 They got married last July in St Peter’s Church, Harold Wood and had their reception at Newland Hall in Essex. 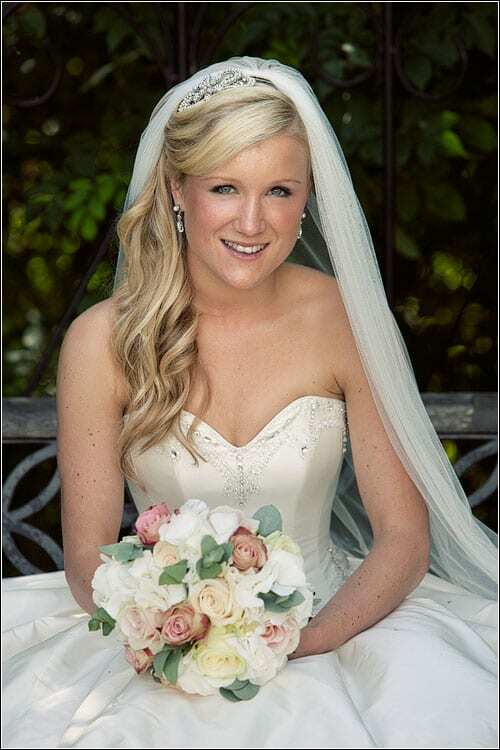 The florist who created the couple’s wedding flowers was Claire May Sankey of Lily & May. 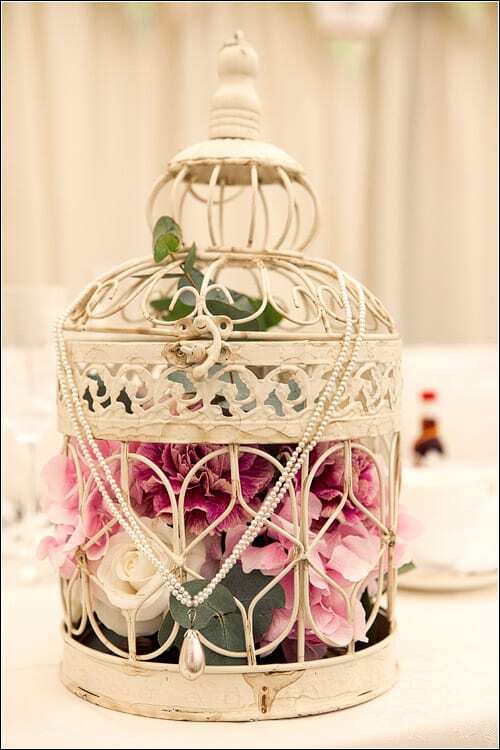 This wedding was a florist’s dream as the bride and groom collected all of the items for the tables such as jugs, bird cages and cakes stands for the year leading up to the wedding day. I had the pleasure of sorting through all the boxes of items and given creative freedom by the couple to create what I pleased as long as it fitted with the theme and colour scheme (such fun!). 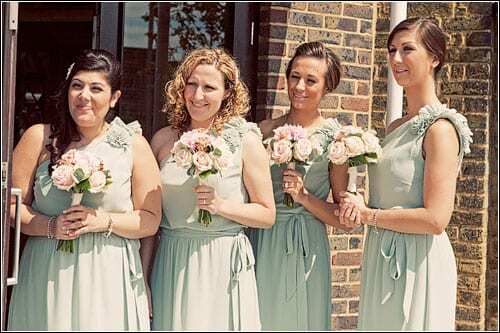 The bouquets and buttonholes were a collaboration between myself, Jen and Les who both had strong idea of the overall look there were trying to achieve. I’ve been in contact with some very talented wedding photographers to help me with this series. And this wedding was captured by Surrey wedding photographer, Matt Pereira. Each time I feature a new wedding photographer, on the same day as I write about the wedding they’ve captured, I’ll be conducting an interview with them. So, please do tune in from lunchtime today to read a Q&A with Matt.